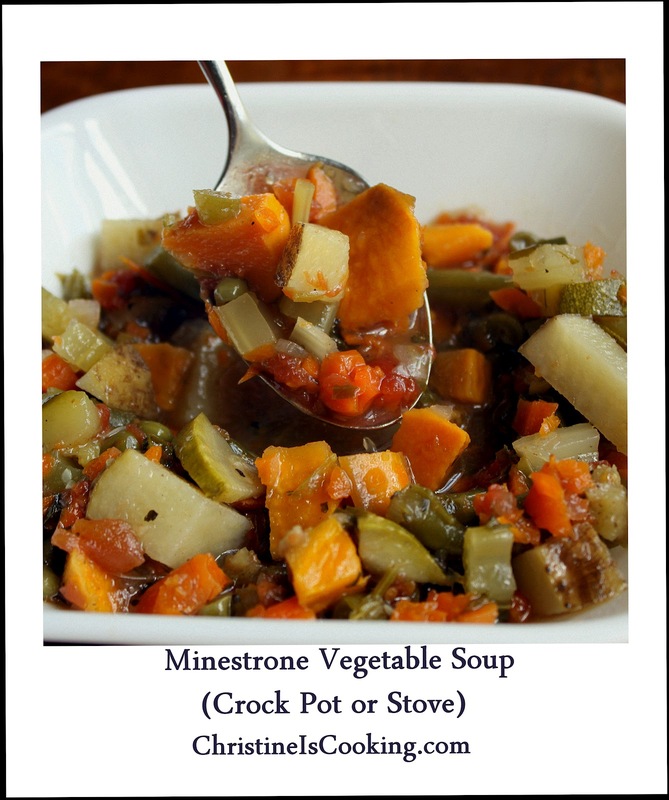 This soup is ALL veggies and delicious! 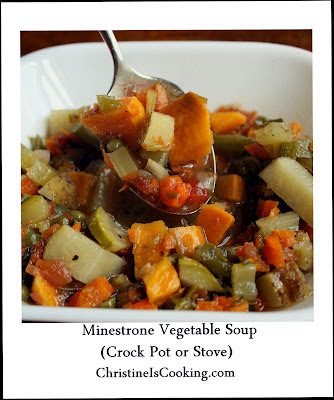 You can make this in a slow cooker or on your stove top. Any leftovers can be frozen in individual portions. The cook time in the crock pot is 8 hours on low, so this is a good recipe for people working outside the home. You could easily let it cook an additional hour or 2 if needed. 1 cup chopped tomato (I prefer the Pomi brand in the red carton). Saute the onions and garlic in olive oil on the stove top until translucent. Add the remainder of the ingredients and cook at a low boil for approx. 1 1/2 hours. *sometimes I serve this with a bit of grated parmesan mixed in.